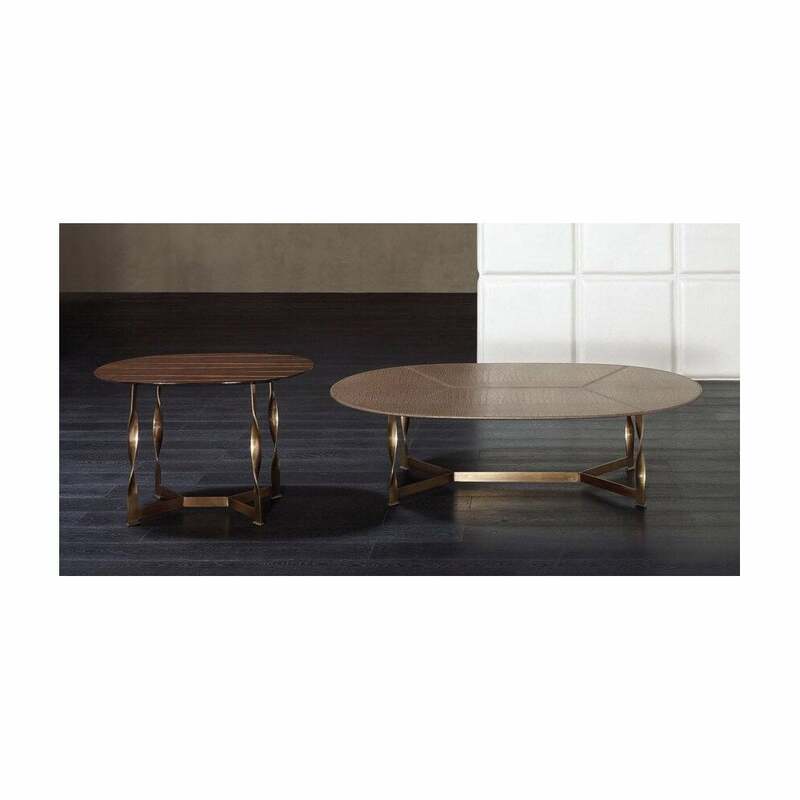 Part of the Rugiano collection, the Pliet Coffee Table exudes luxury Italian style. Designed to be timeless, the Pliet Coffee Table will suit a range of interiors from a chic Milan apartment to a Tuscan Villa. Add a touch of glamour to your living room with the Pliet Coffee Table. Available in a range of finishes, the table top can be realised in leather, polished ebony, emperador dark marble, spigato oak or varnish. The sculptural table legs are crafted from a brilliant bronze, twisting to form a unique shape. Choose a sleek and minimal look with white marble or go dark and dramatic with ebony wood. Style with your favourite design books, candles and flowers. Available in 7 bespoke sizes. Make an enquiry for more information.